My sister would totally wear this. She has tons of sweaters with animals on them. I love your site! I think I prefer the shorter sleeves, actually. 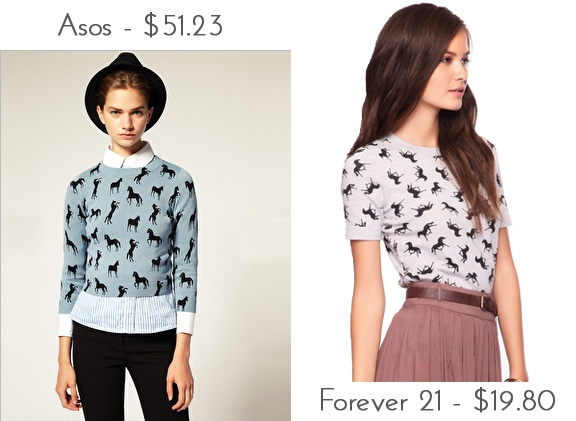 Love the horse print! Seeing a lot of that lately. I love this! I just got a scarf at Goodwill with a pony print, can't wait to wear it!